Luvable Friends 4-Pack Prefold Birdseye Cloth Diapers are made from super-soft, 100% cotton that allows for a environmentally friendly solution to diaper changing. 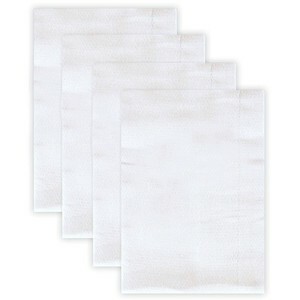 The cloth is made from Birdseye Fabric that is woven from heavy, tightly twisted Cotton for a durable and absorbent hold. 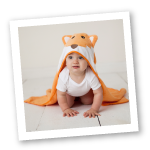 The cloth is reusable and washable to offer an ecologically sound solution to disposable diapers. A prefolded 3-ply center panel in the cloth adds absorbency and quick drying for no leaks or messes, and the packaging has easy folding instructions on the back. These diapers measure 14.5 x 20 inches to accommodate any baby while being easily folded for storage. Perfect for helping to green the earth green!